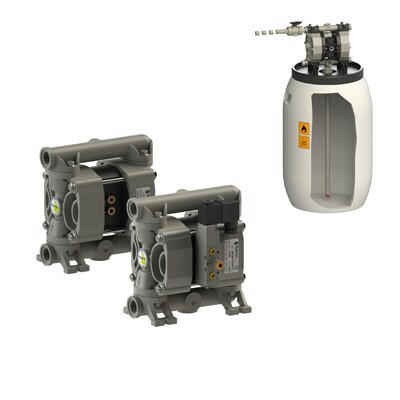 Air operated double diaphragm pumps are suitable for many different industries. No matter if the fluid is neutral or harmful, viscous or solid parts are presented - almost every fluid can be run by FLUIMAC AODP. The choice from different materials of pumps gives the possibility to pump either cold or warm fluids, at different ambients, in many applications. - PHOENIX DRUM pumps can be used for empting barrels, vessels, conainers and other. - TWIN PHOENIX can transfer two different fluids independently and simultaneously. - PHOENIX pumps with outside control for batching of the media.